What Bill and Account Collectors Do ? Bill and account collectors generally contact debtors by phone, although sometimes they do so by mail. They use computer systems to update contact information and record past collection attempts with a particular debtor.Keeping these records can help collectors with future negotiations. Many collectors work in a call center for a third-party collection agency rather than the original creditor. Whichever industry the collectors work in, most of their time is spent on the phone tracking down or negotiating with debtors. They also spend time on the computer, updating information and recording the results of their calls. Collectors’ work can be stressful because many people become angry and confrontational when pressed about their debts. Collectors often face resistance while trying to do their job duties. Successful collectors must face regular rejection and still be ready to make the next call in a polite and positive voice. Fortunately, some consumers appreciate help in resolving their outstanding debts and can be quite grateful. 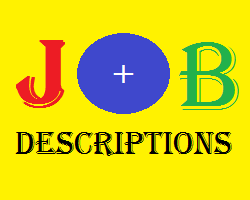 Belum ada Komentar untuk "Jobs Description of Bill and Account Collectors"